Folsom Lake RV is hosting a HUGE RV sale on tiny trailers February 15-18th! During this sales event, you’ll find A-frame trailers, travel trailers, and teardrop trailers for sale for incredible prices! Not only that, but you can even test drive before you buy! Let’s take a deeper look at some of the reasons to choose a tiny trailer! If you are looking for a tiny home away from home that is as adorable as it is functional, then you don’t want to miss these ALiner A-Frame trailers on sale! 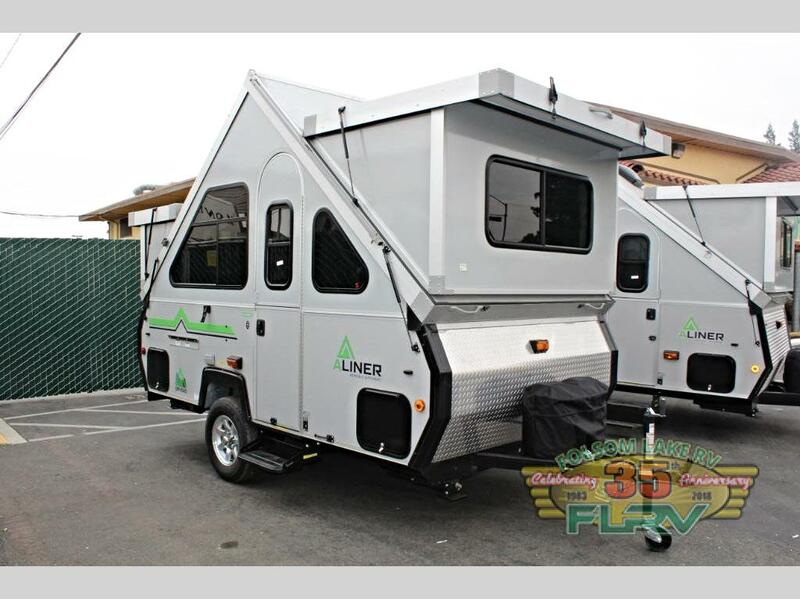 These expandable campers are ideal for a couples retreat. They feature a cozy sleeper sofa, or the option for a queen mattress instead, a two-burner range, sink, refrigerator, and even an outdoor shower! Take your cozy dream-home on the road! Inside you’ll find enough sleeping for up to six campers on selected models. These are the perfect travel trailers for large families who need a simple solution to their next camping adventure! You’ll love the foam mattress and booth dinette for sharing dinner, or playing a game of cards at the end of the day. 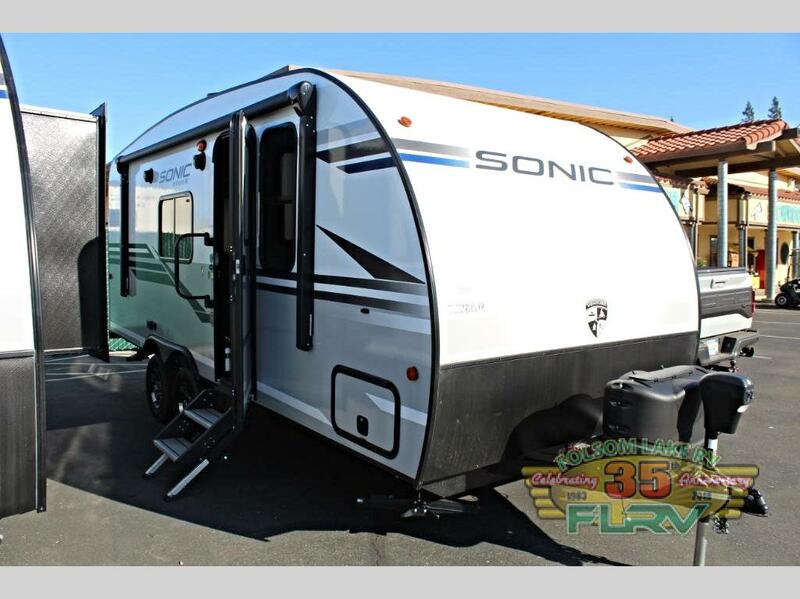 Browse our Sonic travel trailers for sale at Folsom Lake RV. At this sales event, you’ll also find a wide selection of Little Guy teardrop trailers with all the premium features fitted into a tiny, easy-to-tow package! These teardrop trailers come with a queen bed inside, a floor to ceiling pantry for all your favorite snacks, and a full-length garment closet. This little trailer is a dream for anyone who wants it all but needs a light-weight option for their vacations. All the luxury of home in a tiny package you can take anywhere! Don’t miss your opportunity to find the perfect tiny trailer for your family and cash in on HUGE savings! 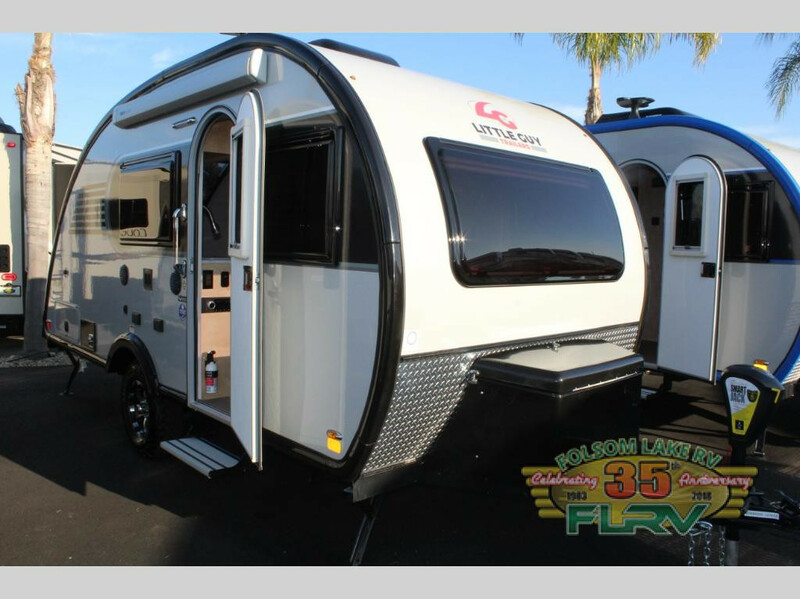 Contact us today for more details and see us for the Tiny Trailers for Big Adventure sales event February 15-18th!